Discover the beauty of Gauja National Park while riding through the forest riverbeds or banks and be delighted of landscapes worth a fairytale! 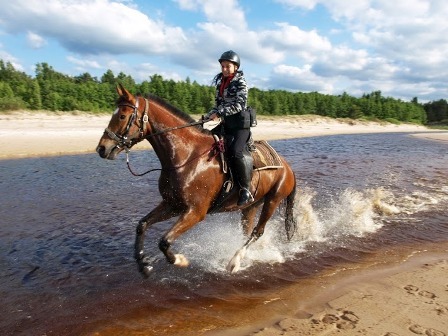 In this horse riding vacation you will enjoy the swimming of horses and riding in rivers like Amata, Ligatne, Strikupe, Gauja and other most beautiful rivers of Latvia; enjoying true nature of the Gauja valley. This equestrian vacation leads you along beautiful cliffs and rock outcrops, you will be able to drink from springs and on your way you might even meet different wild animals and discover nature' s secrets. In the evenings you will be offered to visit medieval old towns and castles as well as other exciting places of your vacation. Arrival in the district of Karli or Adazi and settling down in guest house. Safety briefing and acquaintance. Refreshing equestrian skills or instructions (tuition in accordance to information left during reservation of vacation). You will start this vacation day by crossing Gauja river on a historical wooden ferry operated by a manpower. Further on the ride leads through the wild forests of the National park on the other side of Gauja. Possibility to attend Ligatne Nature Park with wild animals or the Secret Soviet Bunker 9 m under surface. You will ride on the Kvepene Hill fort surrounded by a fairytale landscape, where you will see possibly the most beautiful giant tree in Latvia - Kvepene Oak that is symbolically drawn also on the 5 lats banknote of Latvian currency. After horseback riding through Kvepene forests the route continues to Cirulishu nature trails. The path was created to present the natural formation process from the ice age to present. You will enjoy the landscape with mirror cliffs and absolutely clear water. Today's route leads along the river Gauja and Amata. In the morning you will explore the banks of the river Gauja and continue along Amata. The Amata is one of the fastest rivers in the country and has a picturesque shore with red sandstone cliffs and steep rock formations. The Zvartes Rock are among the most famous in this region. During this day you will explore beautiful small rivers on horseback as well. If you are a fun of exciting rides on a horse back you will definitely enjoy ups and downs of the wild banks of rivers till you reach Zvarte. The riding down into river-bed of Strike is the highlight of this riding day. River Strike has very steep and sandy banks making this a beautiful riding experience. Forest trails of Gauja National park and the healing effect of spring water on the way will add to the joy of the vacation day. After horseback riding you will have excursion in Cesis a town with medieval old town and castle. Overnight in Cesis region. Further on the route we will continue along Gauja banks riding on its beaches, along forests and beautiful meadows with trails in perfect conditions for relaxed riding. The picnic will take place near Sietiniezis – a 500 m long and exceptionally beautiful sandstone cliffs near Gauja river. The perfect equestrian path continues to Valmiera – the final destination of this route. After horseback riding you will be transferred to Sigulda – a town with beautiful view on Gauja valley and medieval castle for overnight. Cesis - Riga (transfer). Return to hotel in Riga or direct transfer to the airport. South-East Estonia is famous for its beautiful and massive forests. You will ride in many of them in the upcoming days. South-East Estonia has the biggest hills of Baltic states. There is located Haanja National park which has highest peak of Baltics. You can enjoy the hilly landscape of Haanja, incredible nature and heritage culture objects. Haanja Nature Park was established to preserve the landscape, wildlife and heritage of the Haanja area. The size of the protected area is 16,903 ha. The main part of the Nature Park is an about 15 sq km area, which is higher than 250 m above the sea level.You will ride also not too far from both - Russian border and border of Latvia. Pick up at Riga airport and transfer all the way to South-East Estonia. Arrival to the Guesthouse and settling down. You will be accomodated in this Guesthouse for the next three nights. Safety briefing and introduction of the plan of the upcoming days. After introduction to the stables and excursion around You will start your riding in a village that used to be one of the most popular destinations for pilgrimiges in the 15th century. The castle ruins from the time are still standing there by the magical river of Piusa. Lunch in a cozy teahouse in a small village of Tsiistre. We will also have a stop over in the Tsiistre museum. We will ride through the curvy roads surrounded by forests in Haanja National park and will arrive in the guesthouse where sauna is already heated and dinner ready for us right after sauna and swimming. You will head to the highest peak of Estonia - Suur Munamägi. On the way you will enjoy the views and landscapes of Haanja National park. You will ride to the second highest peak of Estonia - Vällamägi which is known for having the oldest forest in Estonia and is situated next to the oldest moor in the area. We will have lunch in a cafe by the Suur Munamägi hill and visit the watch tower/museum. Heading back to the Guesthouse to enjoy sauna, dinner and rest. After discovering mostly the southern part of the Haanja National Park now you will ride through the northern part of the park. Yoou will go by the Kavadi lake - famous for its beauty. Riding through the small villages of the area will give you the chance to observe the life of the locals. We have a chance to have lunch in a small family based goat farm, which is famous for their delicacy cheese. We will continue the day on a 1000- years old trading route, nowadays just a remote village road, towards our Organic farm - the home of the horses. By now you have probably noticed that Estonians are huge fans of Sauna. So Sauna will be heated also in your new accomodation place where you will spend another 3 nights. We will get acquainted to the district of Setu which is located on the right shore of the Piusa river. People in this district are called the Setus. They are a little nation who speak the Setu diallect, similar to the Estonian language. Their culture, traditions and religion differ from the Estonians. Piusa River is known as the fastest flowing river in Estonia. The surface of the valley of the Piusa river is mainly sandy which makes it perfect to ride on. You will have lunch in one of the most important villages in the Setu district - Obinitsa. It was the Finno-Ugric capitol of culture in 2015. You will have a traditional Setu meal followed by a visit to the local art gallery and museum. After the visits to Obinitsa we will take a route through some little Setu villages and lovely landscapes. You will notice the dirrefence between the atmosphere and style of the Setu villages compared to the Estonian ones you passed in the previous days. Today you will ride in the magical forests of Puutlipalo. The locals say that even one visit to Puutlipalo forests will turn one into a better and more positive person. We will have a picnic in the forest and visit a remote wooden church called Puutli. It was built in 1935 by 9 families who were deported to Estonia for work. Since the second World War the church has been preserved by the help of the locals but has not been in active use. Its once famous interior has unfortunately not preserved, but the church itself and the graveyard next to it are a unique sight. Its time to have the last ride back home on our equine partners and say goodbye to the horses and the beauty of the South-East Estonia. Transfer back to the airport or Riga city after the breakfast. This is really great trail for beginners! Visit the southeast part of Latvia that has the border with Belarus which is the last European country with dictatorship. Besides that, you will be amazed by the beauty of extraordinary flow of Daugava river in this region. The landscape has many meanders of the Daugava that looks truly idyllic and inspiring. The picture of the Daugava taken in this region is one of Latvia’s symbols that is used even on the banknotes of ten Latvian lats. You will be riding along the exact border of Belarus and the fantastic river valley. 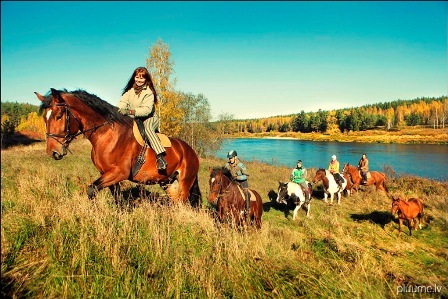 This horse riding vacation also brings you through the special native villages of Selija. On this equestrian trek you can truly sense the green nature of Latvia and enjoy the landscape of one of the most beautiful places in Baltic. Arrival in the district of Ādaži in Alderi and settling down in guest house. Safety briefing and acquaintance. Refreshing the skills of equestrian or instructions (tuition in accordance to information left while reservation of vacation). 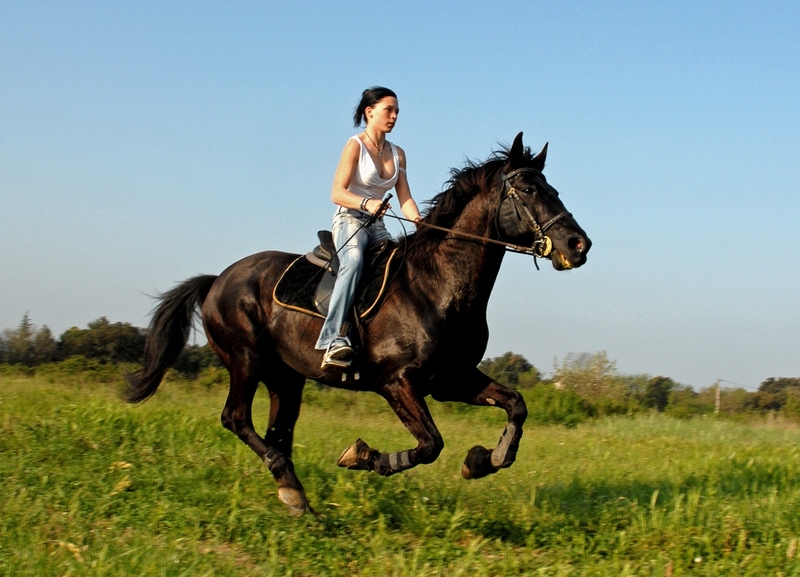 Minimum 3 hours riding in Ādaži district and/or full day horseback riding training. The next morning leave for the starting point of the selected route. Arrival at Kraslava region and visiting the typical horse farm of Latgale, you will be introduced to the history of the farm. This horse riding route continues with horseback riding along Zvainieki Circle of nature park “Daugavas loki” (Meanders of Daugava). In the park you can very often see wild animals, listen to bird songs and feel the beauty of the Daugava valley. If you are someone who loves fast galloping on horseback then this is a great place for you, because the selected route provides the possibility of fast horseback riding through the fields and wood paths. This region has a lot of wild and rural territories. Breakfast at 09:00 and 5 hours horseback riding along Priedaine Circle of the nature park „Daugavas loki” with a picnic on the bank of the Daugava (Sproģi ravine, Sproģi great pine, Saulkrasti, beach of Ulmanis, Priedaine’s sight tower, meadow of Pauls etc. ), sights of the Daugava and Stirbļi pine forest. About 7h long horseback riding trip via Kaplava and unfamiliar spruce forest in the Latvian-Belarusian border area. I will not lie if I say - mysterious, dreamlike and a bit eerie… in the snaky road of unfamiliar spruce forest which in the first stage looks never-ending. But there is the end! It opens to a view on the wooden farmsteads built in the beginning of the last century, forgotten luxury and today’s reality. You will gain a real insight into the cultural history of the small villages of Latgale: Lielborne, Veckaplava, Vecborne and Kaplava. Enjoyment of the nature park “Daugavas loki” (Meanders of Daugava) landscapes, including a visit to the Veckaplava Russian Orthodox church. Visiting the complex of wooden buildings that has gained a status of state significance for its value of historical heritage. Visiting also Borne Evangelist Lutheran church, house and buildings of Vecborne baron Engelhard. Horse ride to Latvian – Belarusian border area to visit 3 sightseeing places: The sight on Belarus - Europe's last dictatorship with the lake, village, fields and woods of Pļusi, Kaplava-Pļusi border crossing point, Matulišķi. While on horseback you can see the mosaic like scenery of Belarus over the border, without ever crossing it. This part of the horse riding route includes a calming ride through mysterious, narrow wood paths with the typical landscape of Sēlija – hillocks, fields, small forests and separate farmsteads. After the 2 hour horse ride you will be returning back to Kaplava village. Return to Alderi overnight with and/or transfer to airport or direct transfer to airport. End of your vacation. You don’t ride, but still want to experience nature to its fullest? Choose our non-riders, Outdoor Guides programs. You will have real adventures in the country where forests cover a vast amount (50%) of the countryside and where empty sandy beaches form more than 500 km of coast line. We will guide you through the most beautiful paths of National parks, through culture heritage and secret objects of the Soviet iron wall. Choose the program most interesting for you and visit the undiscovered pearl of Adventure tourism in Europe. Arrival in Gauja national park and settling down in guest house. Safety briefing and acquaintance. Meeting the guide and checking equipment. This will be a wonderful day on skies through the fairytale-like forests. You will see many animal paths and maybe some wildlife as well. This day provides beautiful diversity of nature with optionable culture insights. Depending on weather conditions (in case of not enought snow) skiing tour may be replaced by guided MTB bicycle or trekking tour. You will discover and explore places far beyond standard tourist paths. No worries even if the snow is more than 1m deep because you will be using special snow shoes made by local craftsmen in a traditional method and from all natural materials. Great insight into the beauty of Gauja national park in winter. In case of no snow you will enjoy guided walkingor Nordic walking tour instead. This day will be spent enjoing the astonishing wildlife of Latvia from special animal watching ambushes. And to keep everybody warm and cosy hot herbal tea is always served. If you are really patient and silent you may meet some amazing animals like mooses, wild boar, fox, deer, lynx, beavers or even wolf and many more. If you are a true animal lover, who is looking for an oppurtunity to meet new wild animals in their natural environment then you will very much enjoy this day’s adventure. As you already are familiar with forests of Gauja national park, animals and technique of cross country skiing or snow walking, your are ready for real survival adventure. 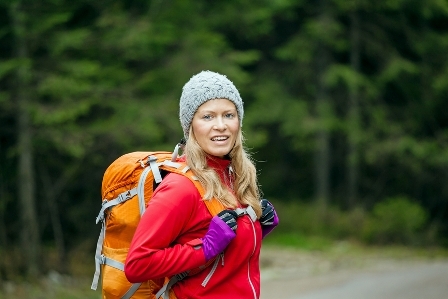 We will give you survival backpack filled with all necessary equipment and GPS. Folowing the legend you will find different nature and historical point on your trail through the deep forest by yourselves and without any our assistance. Orienteering survival game with geocaching As you already will be familiar with forests of Gauja national park, animals and technique of cross country skiing or snow walking, you will be ready for a real survival’s adventure. We will give you a survival backpack filled with all the necessary equipment and GPS. Folowing the legend you will find different nature and historical points on your trail through the deep forest by yourselves and without any assistance from us. You will always have an option to use the RED ALERT, which means that you will be shortly evacuated from the trail even if you will not have finished it yet. Sounds exciting ? We truly hope so, because this day will bring excitement to even the biggest adventure seekers out there ! Visiting of Riga Old City with transfer to airport or direct transfer to airport (depending on flight time). If you are looking to be a real trail explorer and you have an advanced riding experience this is the best trail for you. No Rules! Everyone is fully responsible for themselves. You will have a horse, map, GPS and points on a map with marked places of accomodations and meals waiting for you. Our guide will just be there for the company in this mixture of nature, unknown trails, whitesand beaches and wild forests. There is a high possibility to be lost, to reach the accomodation in total darkness and to have totally unexpected surprises. After a really hard day, in the evening (if you even reach the next point :) you will have a great rest with real Latvian sauna or other options if you like. Descriptions of the days below are only indicative. You can add or remove days or change the route as well. Arrival to the starting point (near Lithuuania border) and settling down in a guest house. Safety briefing and acquaintance. This riding route begins at the Lithuanian border on the beach where it is almost impossible to meet any people. On the route you are riding along the Pape Lake, which has one of the biggest numbers and variety of birds in the Baltics. This lake is also a named path of Baltic sea birds. While horse riding on the beach, you are going to pass some native fishing villages and boats, as well as beautiful moors and sand dunes. After 15km long horse ride through the amazing, white-sanded beaches we will reach Liepāja. There we are going to see the old Soviet naval port, which used to be a military establishment, closed to the majority of people. This port used to have a secret submarine headquarters and a military village. Liepaja offers a lot more than just the naval port; it has a special antique feeling that you will definitely be able to sense. Because of the closeness to the Baltic sea Liepaja is also called “The town where the wind is born “. 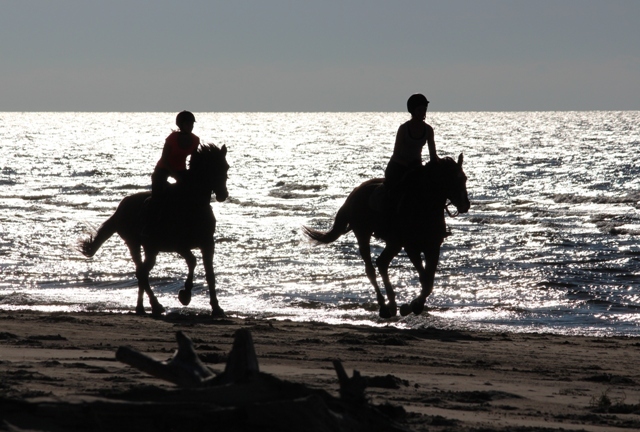 After the transfer to Saraiķi village, we will continue the riding route along the sea, through the white sanded beaches. On the equestrian route you are going to be able to visit the small fishing ports, feel the atmosphere and see Latvian fishermen’s everyday life. This is the most spectacular and amazing part of the sea shore route of vacation. It leads along the highest bluffs on the entire Baltic beach. They taken their shape due to water erosion that tears down a lot of land during big storms. Because of this erosion the seashore looks so extraordinary l and beautiful. The beach has its bright white sand, next to it there are the impressively high bluffs and up there you can find calm, beautiful meadows. If you climb up the sandhill you can see far, far away, feel the freedom and watch the most beautiful sunsets and sunrises. You have to experience this! In this part of the equestrian route you are going to pass the town Užava. The beach near Užava could be described as a place with peaceful, beautiful scenery and lots of small rivers that are exciting to cross on a horseback. You are also going to pass the Užava lighthouse, that stands on a small hill right next to the beach and is 19 m high itself. This horse riding route ends in Ventspils. Ventspils is a very important port town, and is one of Latvia’s most advanced cities. Even though its population isn’t that big, you can find almost everything here and it is a great place to spend your summer holidays. Return to Riga overnight with and/or transfer to airport or direct transfer to airport (depending on flight time). Take two benefits for your weekend – a nice holiday and a professional riding training. Personal training with a professional trainer in riding basics or advanced level, dressage or jumping... just let us know. Cheap flights from London, Frankfurt and many other airports around the Europe combined with new experience will be a real adventure for you. Acommodation is included in the price. Arrival in the district of Adazi and settling down in guest house or hotel. Safety briefing and acquaintance. Excursion in the stables and introducing with the horses (depending on arrival time). Personal 4 hour active training in riding, dressage or jumping with professional instructor. After the training you will be offered an excursion in Riga, riding in the near forest or many other activities of your choice. Changes in program arepossible according to your request. Personal 4 hour active training in riding, dressage or jumping with professional instructor. After the training transfer to airport or any other point in Riga. Your horse will be trained and exercised. Worming and farrier (trimming) are included as well. The only two services not included in the price are veterinary and dentist appointments. Despite that we have monthly dentist and veterinary visits in our stables to ensure best health and wellness to the horses in our stables. Health services for horses are much less expensive here than they are elsewhere ir Europe. We have nice boxes 3 x 4 meters with automatic watering, window with daylight, wooden floor with air ventialation. We use straw or scobs for bedding. Full grooming and daily mucking out are included. Turn out in the morning and bring in the evening of the horse from paddock with field shelter is included. Every horse can have individual feeding program. By default dried grass (hay), salt and water will be available all day. Your horse will get Oats two times aday and dried bread or vegetables once a day. Sepratate dressing room with metal lockers and shower is available. You can put your saddle in saddle room and all other equipment as well. The stables are esay available by car and we have separate parking. Horse owners can use a washing machine and hot water for tea. You can use equipped paddock, open air manege, another manege under the roof, jumping equipment and dressage equipment. 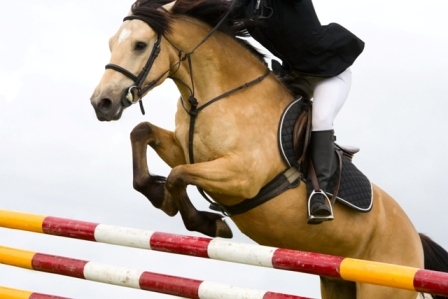 Professional instructors in horse riding, dressage, jumping and Parelli are available. We can provide option to stream live online video from horse box through the Internet. You can always take a look at your horse even if you are at work or any other place where internet is available. 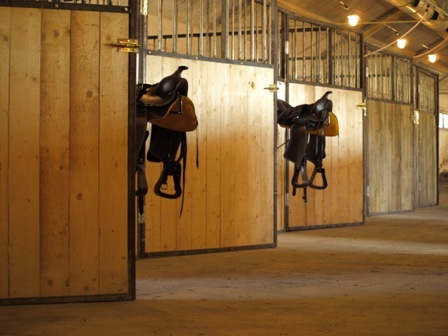 Besides we have video surveillance installed in the stable territory for even better safety for your horse. Latvia is the second greenest country of the world with more than 50 percent forest coverage and more than 500km of white sand beaches. The stables are located just near nice hilly pine forests full of the forest trails, between Baltezers lake and Gauja river, very close to whitesand beaches of the Baltic sea. We are in about 2 hours flight from London, Frankfurt and Berlin. Stables are just in 1 hour by car from the airport.